On the verge of eliminating the United States from qualifying for the 2004 Olympics, Mexico turned to reliever Isidro Marquez to shut the door, according to The Associated Press. Marquez stepped up. Leading 2-1 in the bottom of the ninth, with two men on and no one out, set down the next three batters on ground outs to secure the win, The AP wrote. "It was a well-pitched game by their pitchers," Team USA Manager Frank Robinson, the Hall of Famer, told The AP afterward. "We were not able to do much until the ninth inning, and it was not enough." 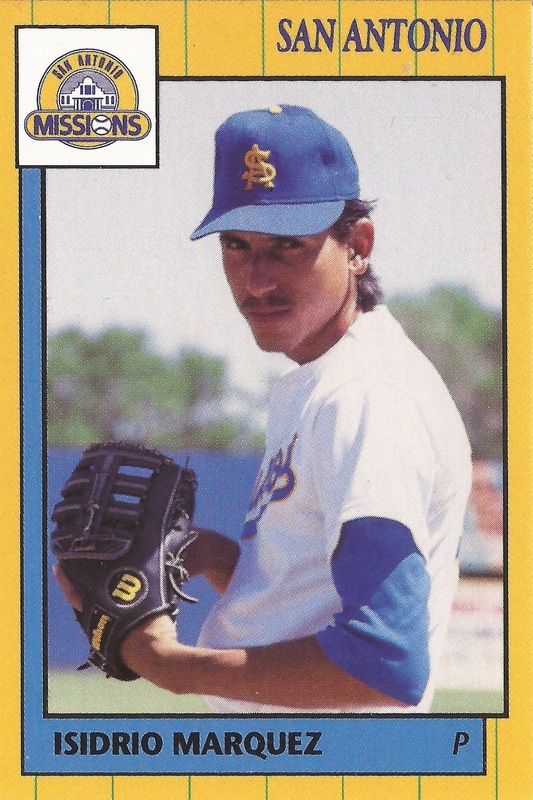 Marquez pitched in that game deep into his pro career - and at age 38. He'd spent most of that career in the minors and in Mexico. But, for seven games in 1995, he pitched in the majors. Marquez' long pro career began in 1988, signed by the Dodgers out of his native Mexico. Marquez has also been credited as Isidrio Marquez. Before signing, he played three seasons in Mexico, for Tampico and San Luis Potosi. Marquez started with the Dodgers at single-A Bakersfield. He went 8-4 over 20 starts, with a 3.09 ERA. Marquez then turned reliever for the rest of his career. He played 1989 between Bakersfield and AA San Antonio. He went 7-4, with 12 saves and had an overall ERA of 3.02 over 56 outings. After an abbreviated 1990 at San Antonio, he returned there for 1991. He isn't credited as pitching in the minors in 1992, but he returned in 1993 to play at both San Antonio and AAA Albuquerque. Traded to the White Sox for 1994, Marquez played that year at AAA Nashville. In April 1995, he made his debut in Chicago. He went four outs and gave up two runs in his debut. He allowed two inherited runners to score in his second outing. Overall, he gave up five earned over 6.2 innings in seven outings, stats that mark the extent of his major league career. Marquez then returned to Mexico. He pitched for the Mexico City Tigres from 1996 to 1999, then the Campeche Pirates through 2004. He continued playing regularly through 2011 and even got some playing time in 2017-2018 winter league action at the age of 52. He's also served as a pitching coach. In 2010, at the age of 45, Marquez pitched in his 812th Mexican League game, breaking the old record of 811.